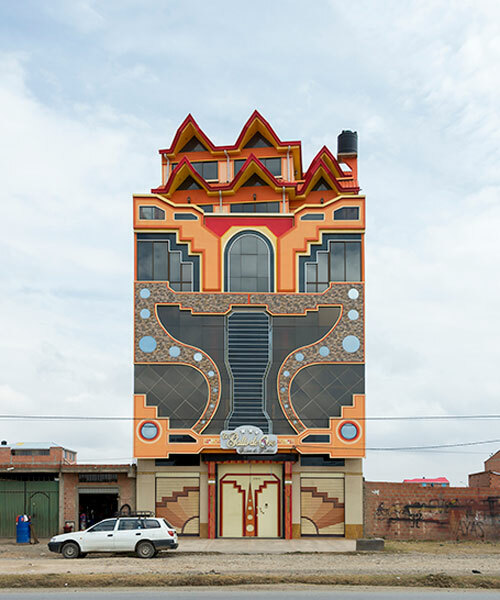 in el alto, bolivia, a growing economy and a renewed sense of indigenous pride have led to the rise of a new style of architecture which introduced some color in the city of el alto. 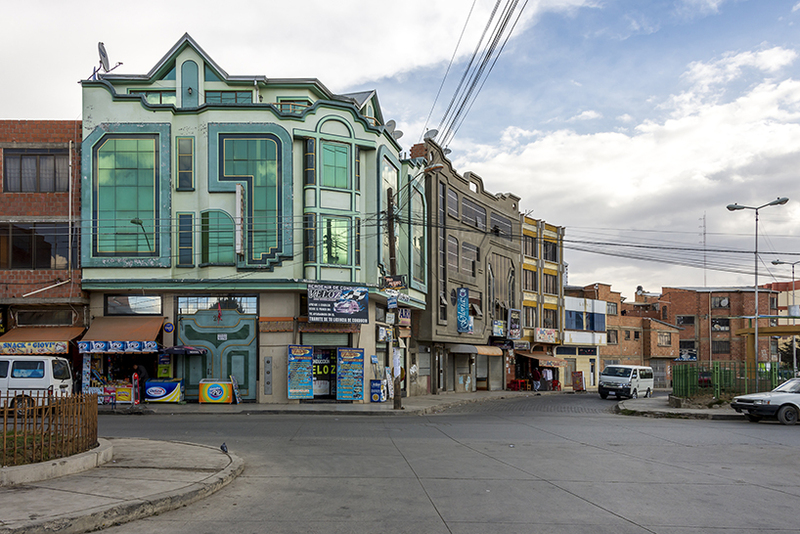 during a trip to bolivia, yuri segalerba retraced the streets of el alto to discover and photograph these buildings. 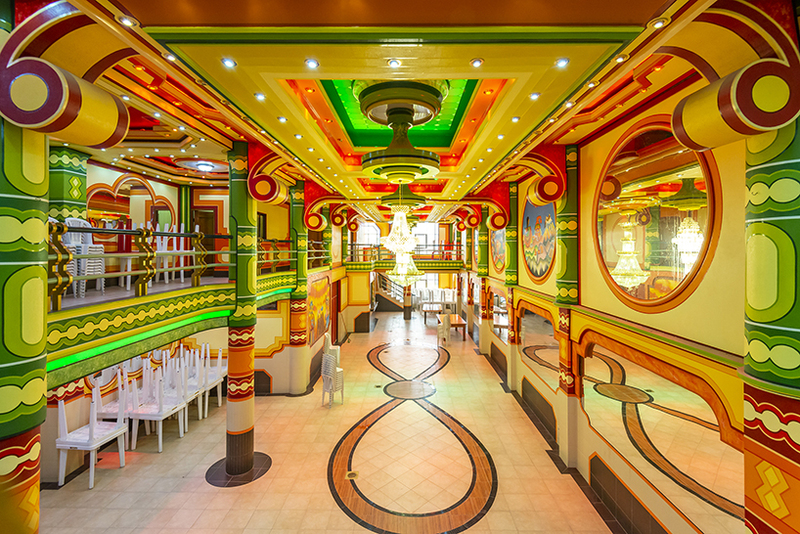 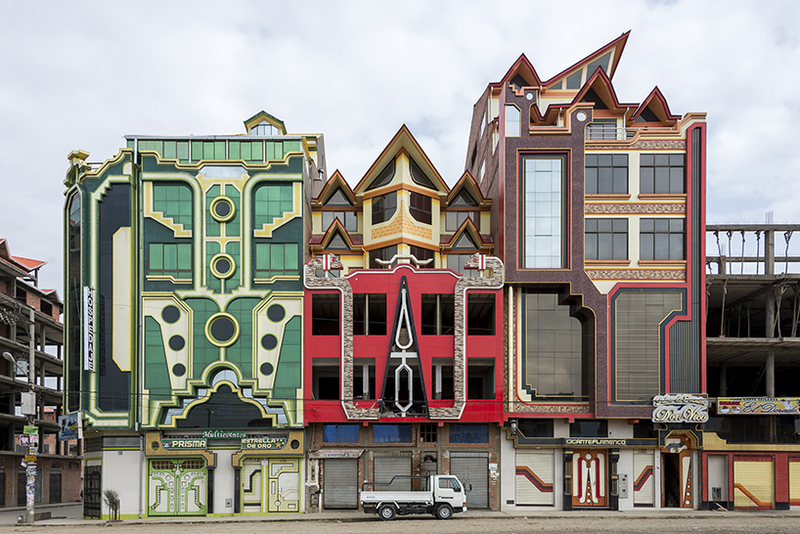 this extravagant and colorful nuevo andino (new andean) style buildings are called cholet, a mix of the words ‘chalet’ and ‘cholo’ — a dismissive racial epithet that is used in some latin american countries to identify the indigenous population. 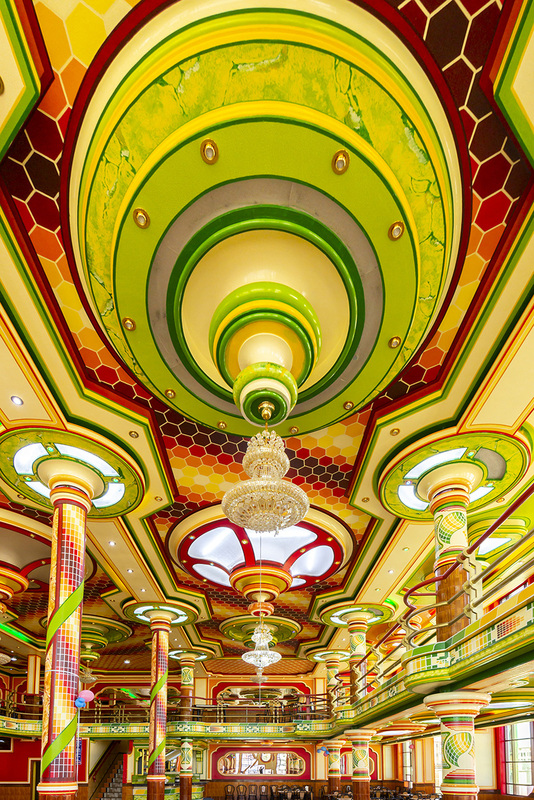 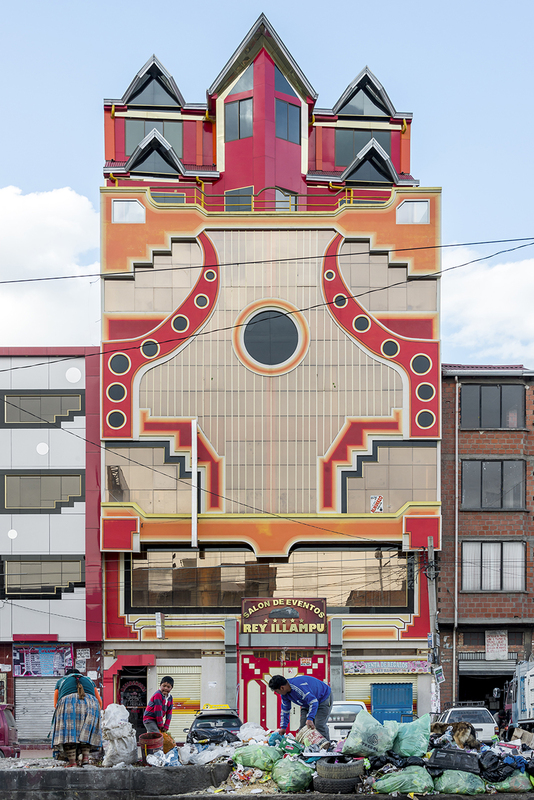 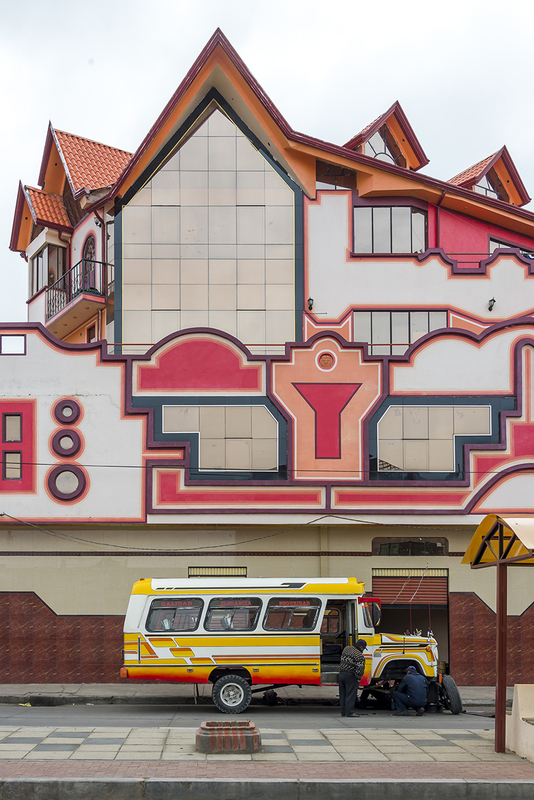 the authorship of this new style can be entrusted to the self-taught architect freddy mamani silvestre and in his wake, other members of the nascent aymara bourgeoisie started to build their houses inspired by the colors and forms of indigenous folklore. 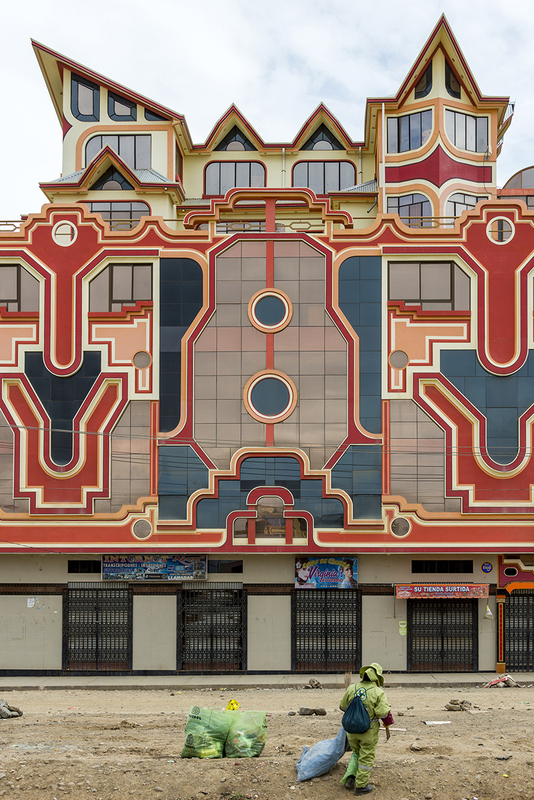 the cholets have a fixed structure: on the first floor, there is a commercial activity – butcher’s shops, ironmongery’s stores, groceries. 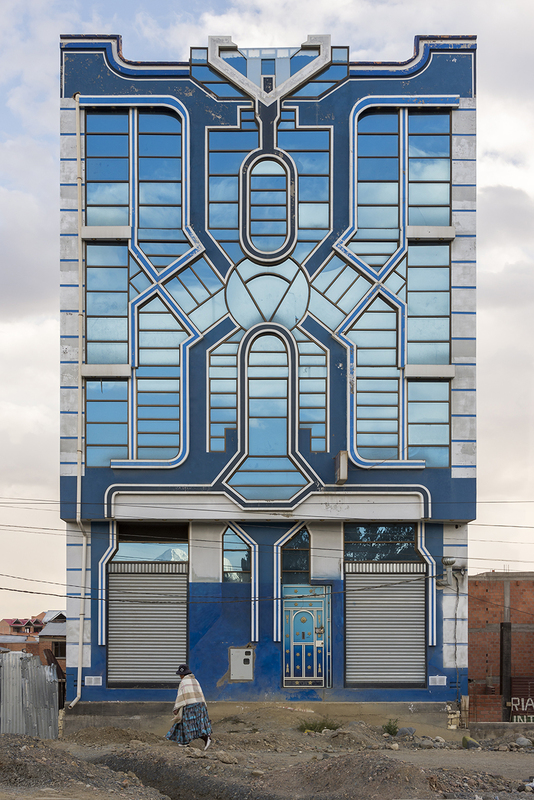 the second level hosts a party hall, while the third one has apartments for rent, and the owners live on the top floor. 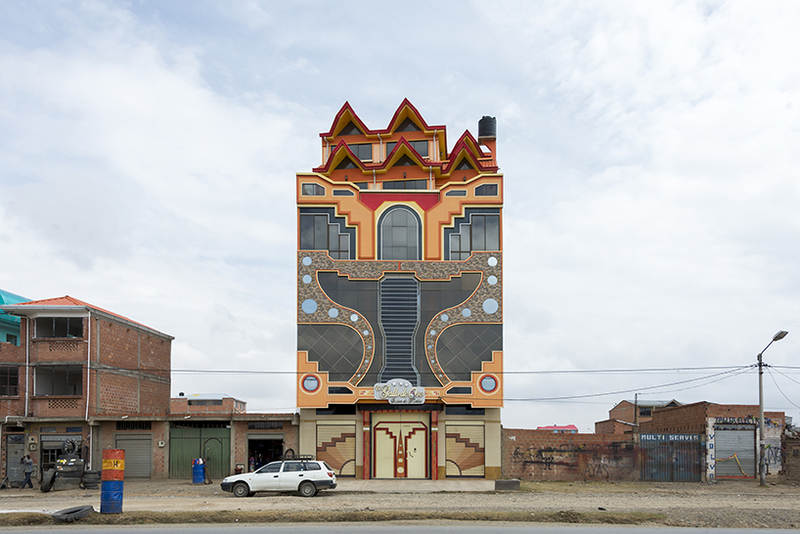 these buildings in el alto became the representation of success, understood in the same way as purely capitalist societies. 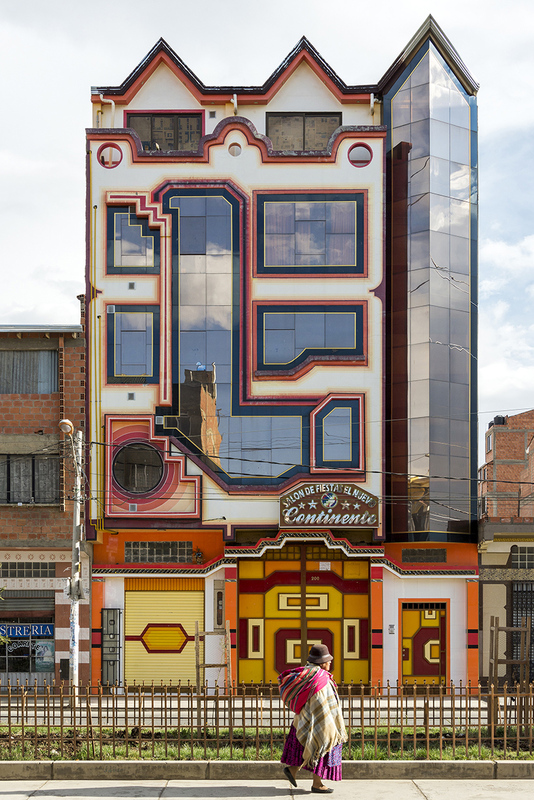 during a trip to bolivia, yuri segalerba retraced the streets of el alto to discover these buildings and photograph them focusing on the social and architectural contrast they represent.